You can get fashion items and brand goods at reasonable price at an outlet mall. 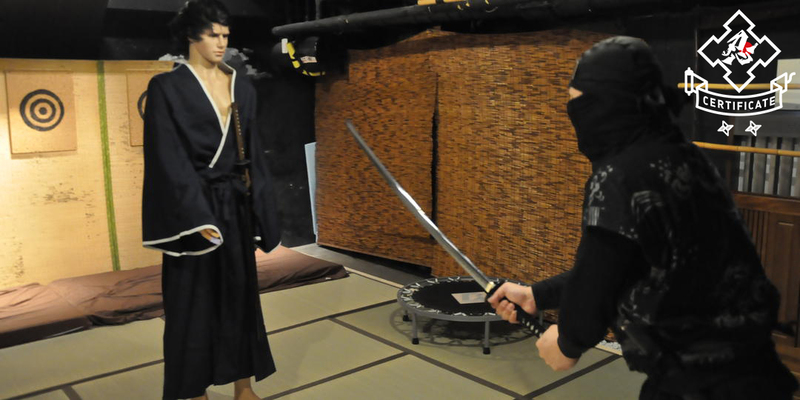 However, as it is often located in a suburb, it may not be easy to go there without a car. Do you know there are facilities that are accessible by bus from a city center? 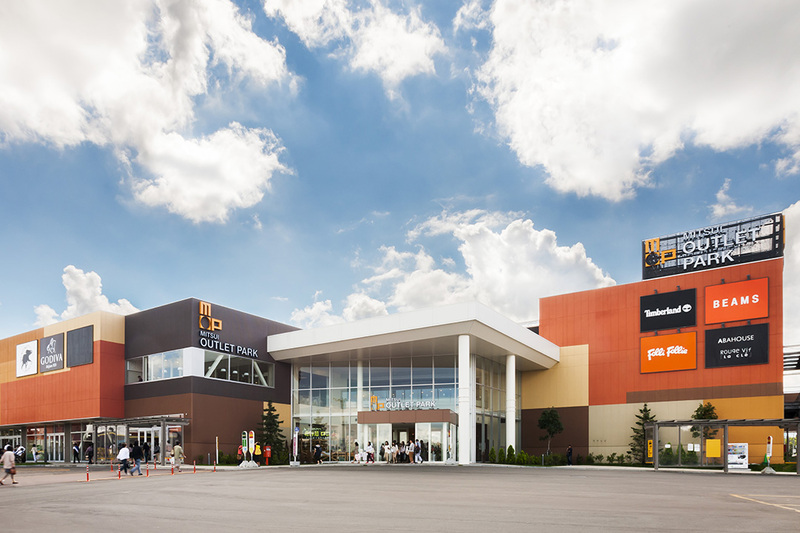 Now, we select and introduce very accessible outlet mall. In addition to shopping, of course, you can readily taste gourmet foods unique to the local area at a food court and restaurants. For foreign customers, an automatic foreign currency exchange machine and telephone interpreting service, etc. are available. 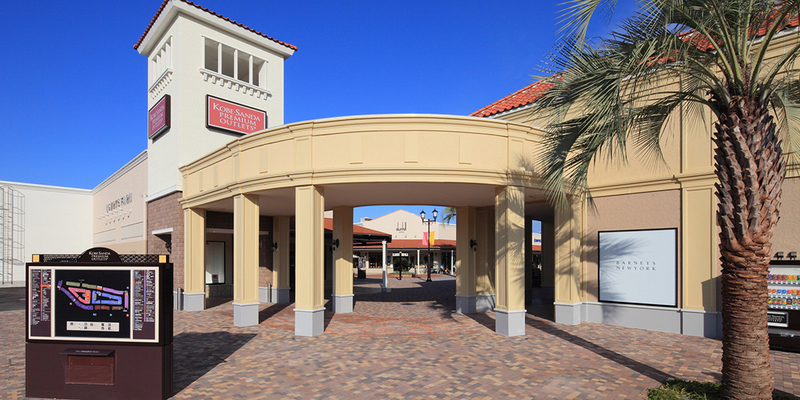 Enjoy shopping at ease to your heart content at a great outlet mall. 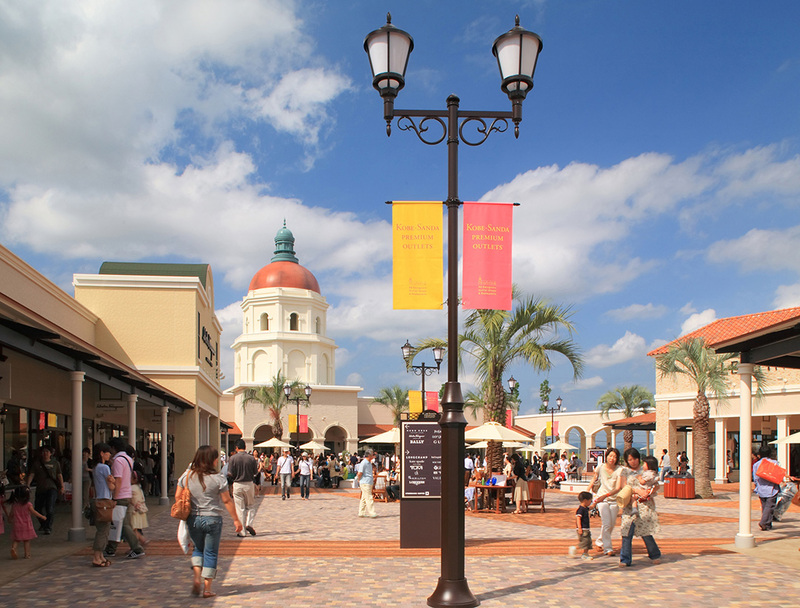 This is one of the largest outlet malls in Hokkaido area, including over 130 duty free shops. 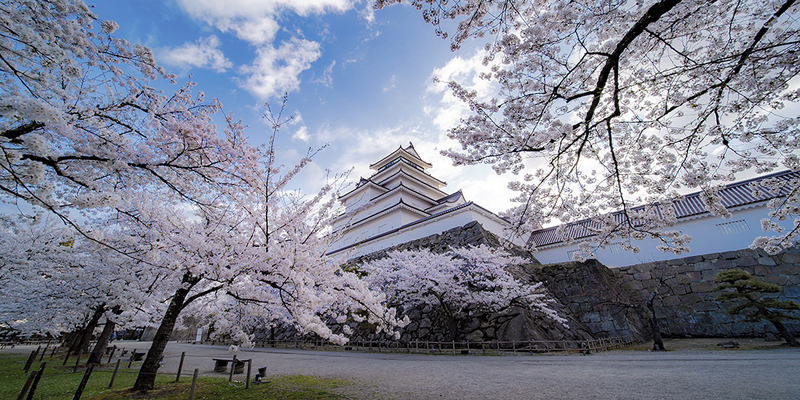 It is also attractive that the mall is very accessible, about 30 minutes by bus from Shin Chitose Airport, and about 50 minutes from Sapporo Station. 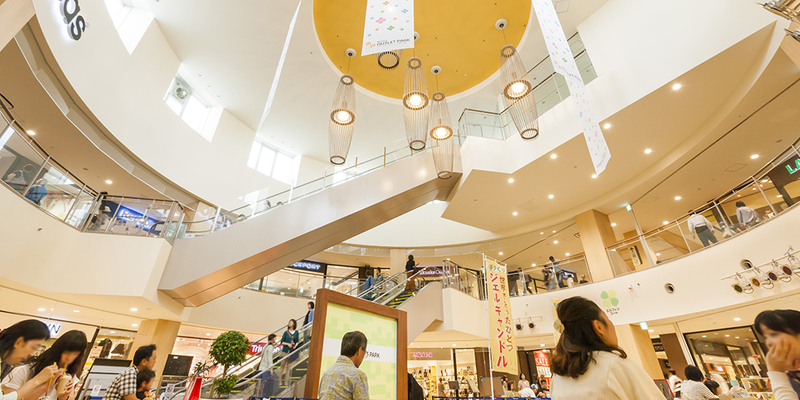 You can shop without worrying about the weather while feeling warmth harmonized with the nature in the indoor mall with the theme of "coexistence with the nature in Hokkaido". At the food court lined with ramen shops and other restaurants which are very popular in Hokkaido, you can enjoy gourmet food full of local taste. 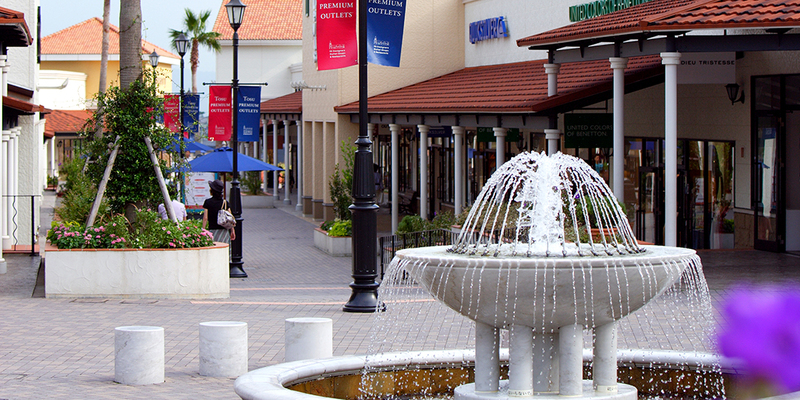 This is one of the largest outlet malls in the metropolitan area with about 250 stores. You can go straight in 45 minutes from Tokyo Station, and 95 minutes from Narita Airport by express bus. There are many brands offering high quality fashion and lifestyle. 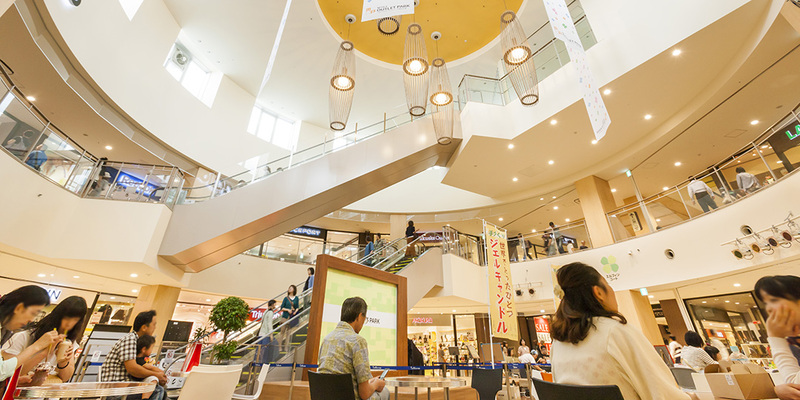 In the food court, there are popular shops where you can enjoy the famous gourmet food from all over Japan. You can spend a relaxing and luxurious time in an open park with a motif of Mediterranean resort. 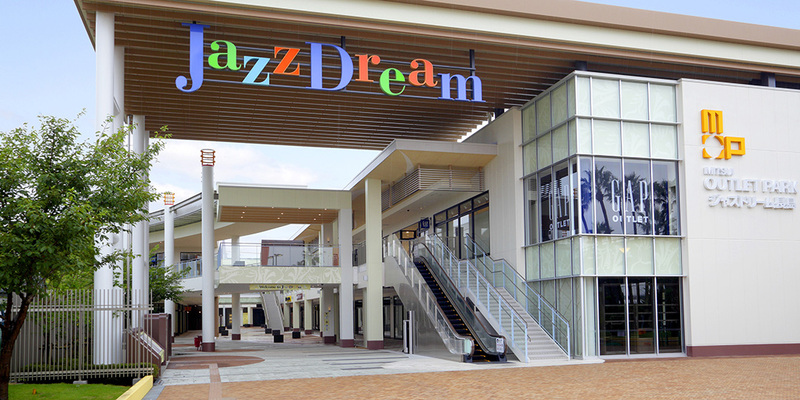 This is a stay-type resort outlet mall located at a corner of "Nagashima Resort" where there are leisure facilities such as an amusement park and hot spring facilities. 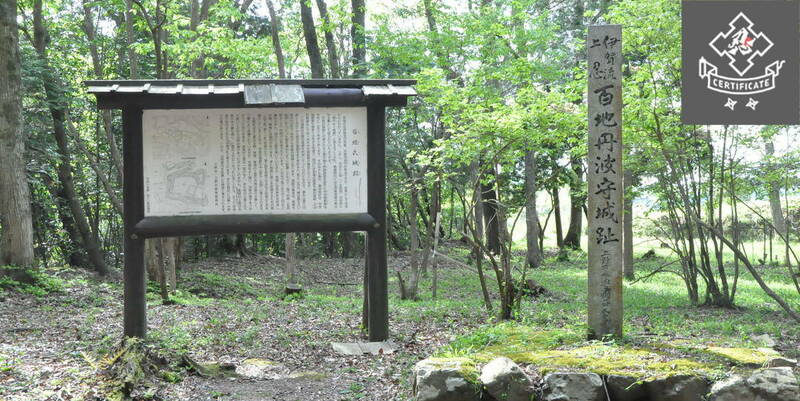 It is accessible, 50 minutes by express bus from Nagoya Station. 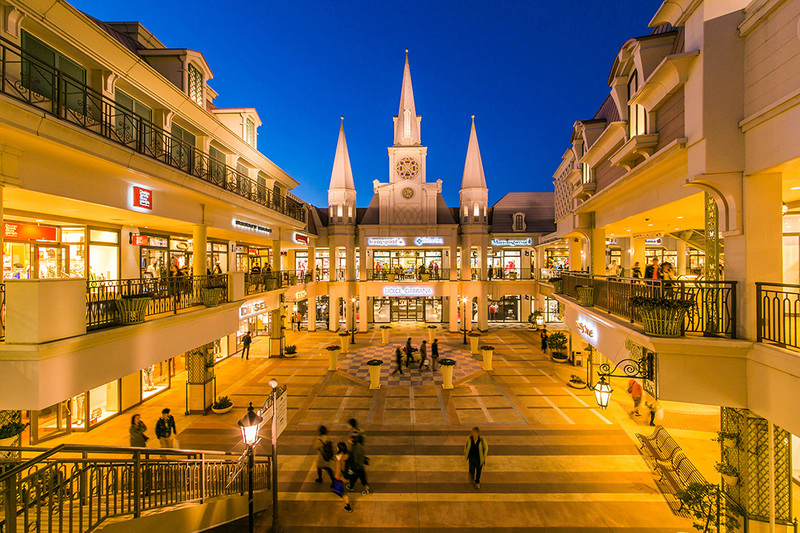 This is one of the largest outlet malls in Japan with over 300 stores. 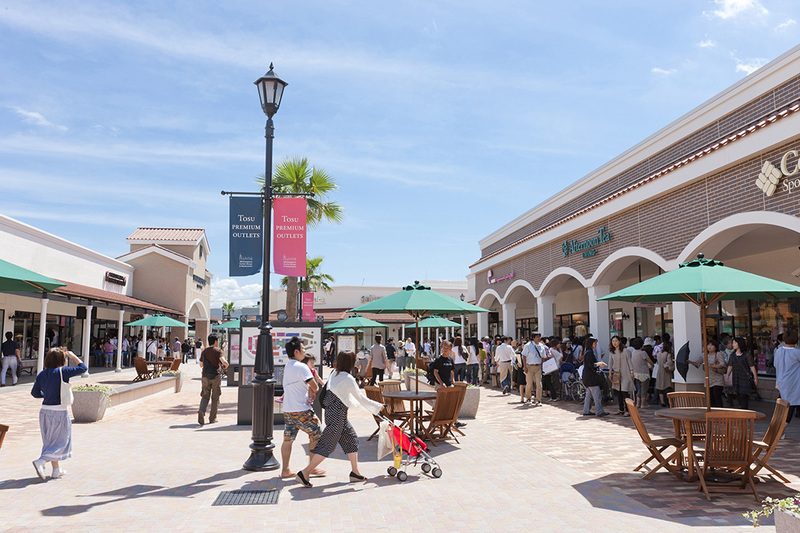 Selected goods from overseas and Japanese famous brands and specialty boutiques are offered at outlet price. In addition, its lineup of shops are excellent, for example, a specialty shop for luxury brand beef "Matsuzaka beef" in Mie prefecture and restaurants where you can taste Nagoya specialties such as "Miso Katsu" and "Hitsumabushi". 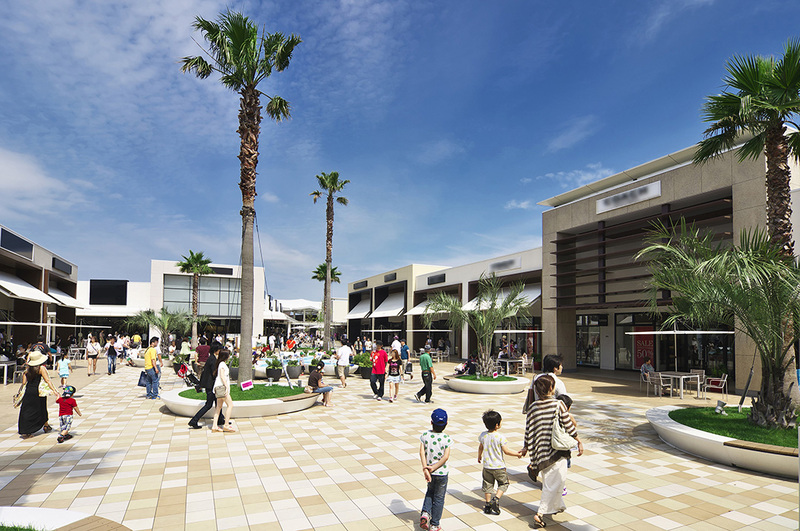 This is one of the largest outlet center in western Japan、with a sophisticated and comfortable townscape modeled on a high status residential area in the Los Angeles suburbs. 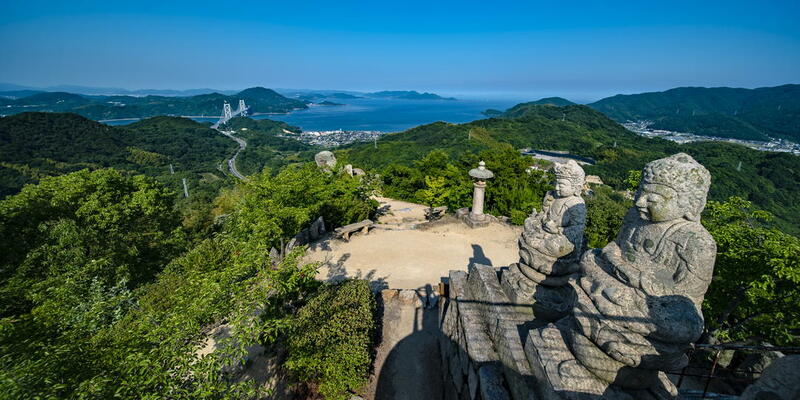 It is conveniently located, 70 minutes by express bus from Osaka Station, and 50 minutes from Sannomiya Station in Kobe via Shin Kobe Station at which Shinkansen also stops. 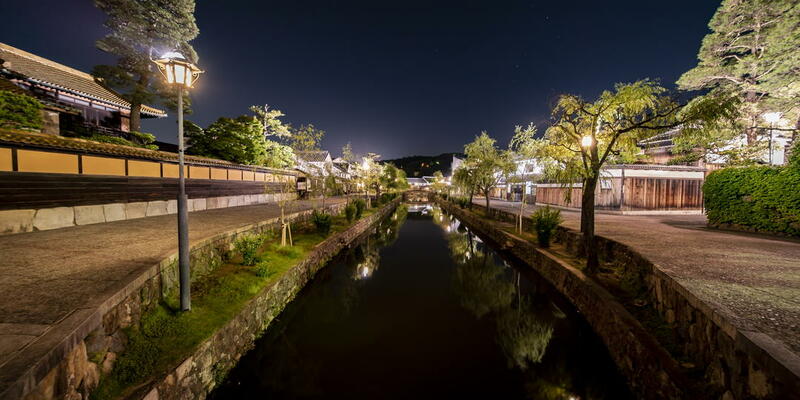 In addition to about 210 famous brand shops, there are a lot of restaurants where you can easily enjoy local gourmet foods such as a specialty of Kobe “Sobameshi” and a local favorite “Butaman (pork bun).” As there is also a historic famous hot spring "Arima Onsen", about an hour away by train, you can enjoy shopping and the hot spring in one day. 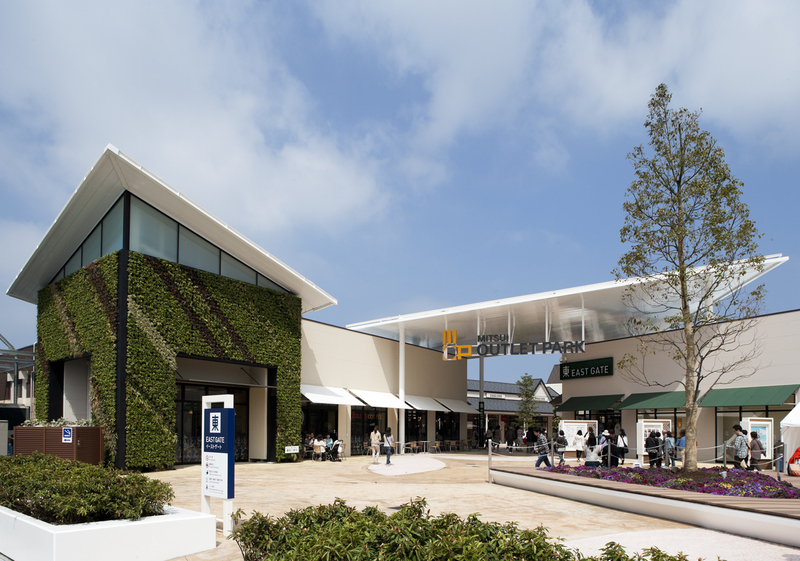 This is the largest outlet center in Kyushu, inspired by a town of southern California. It is about 45 minutes by nonstop bus from Tenjin Station in Fukuoka. In the refreshing town full of bright sunlight lined with about 150 shops, you can enjoy shopping at leisure. In the food court, you can enjoy menus unique to Kyushu such as a specialty of Hakata "Noko Udon", and set menus and rice bowl dishes using “Mitsuse chicken", brand chicken of Kyushu.